We just got word from our friends at Redwood Creek that they have launched the second year of their very generous Greater Outdoors Project. With a cash prize of $50,000, one very deserving nonprofit is sure to have an easier 2009. Applications will be accepted now through March 1, 2009. Then from April 1 through May 31, 2009, you can help support your favorite nonprofit by voting for it online or via text message. The winning organization will be announced this summer and will be featured in a national Redwood Creek advertising campaign. The first annual Greater Outdoors Project $50,000 grant was awarded to the Southeast Wisconsin Chapter of Trout Unlimited to fund the “Camp Creek Restoration Project” to improve water quality and fishing opportunities in Camp Creek, located near Madison, Wisc. 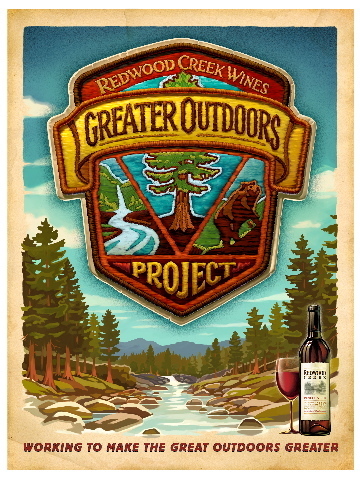 To enter into this year’s Greater Outdoors Project, participants must complete the online application at www.RedwoodCreek.com, which includes submitting a statement of purpose, detailed budget, timeline, and photographs of the proposed project. All project work must be completed by December 2010. On the recently redesigned ADVENTURE website, we've posted a national parks photo gallery where we reveal—down to the exact GPS coordinates—our picks for the most beautiful places in the parks. Now it's your turn. Send us your most spectacular park photo for the chance to have it published in the magazine and win prizes from Yakima, JanSport, and SPOT Satellite Messenger. According to a recent study sponsored by the Nature Conservancy, outdoor recreation worldwide has declined sharply since the 1980s. While they may have the widespread, long-term research to support this statement, we know there’s good stuff going on out there—and we are on the hunt to find it. National Geographic Maps, in collaboration with ADVENTURE magazine, has just introduced the first annual Outdoor Geographic Awareness (TOGA) Awards to celebrate the people, gear retailers, manufacturers, and NGOs who are finding new and creative ways to promote geographic awareness and build outdoor participation. The TOGA Awards reflect National Geographic's mission to inspire people to care about the planet and to encourage people of all ages to explore their world. Applications and nominations will be accepted online at www.natgeomaps.com/toga through Friday, June 27, 2008. 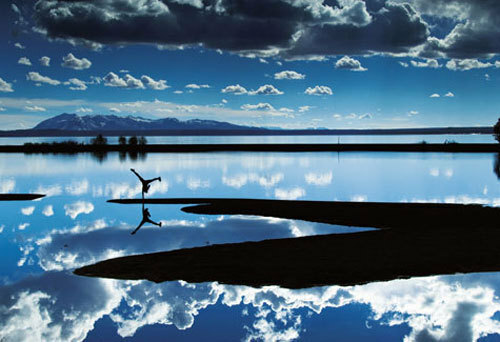 The awards will be presented on Friday, August 8, 2008, at 4 p.m., at Outdoor Retailer in Salt Lake City. Good news for the good guys: $60,000 is up for grabs for two environmentally focused nonprofits. The winning organization will get a $50,000 grant; the runner-up $10,000. In addition to the cash prize, the top nonprofit will land a national advertising campaign set to run in outdoors magazines—including ADVENTURE—in December. Applications and guidelines are posted online today through May 15. After that, a panel of judges—including our 2007 Adventurer of the Year, long-distance hiker Andrew Skurka—will review the submissions. But the public gets the final say: From June 15 through July 31, you can head to Redwood Creek’s site to check out the judges’ top five picks, then vote for your own favorite. The winning projects will be announced at the beginning of August, so stay tuned.